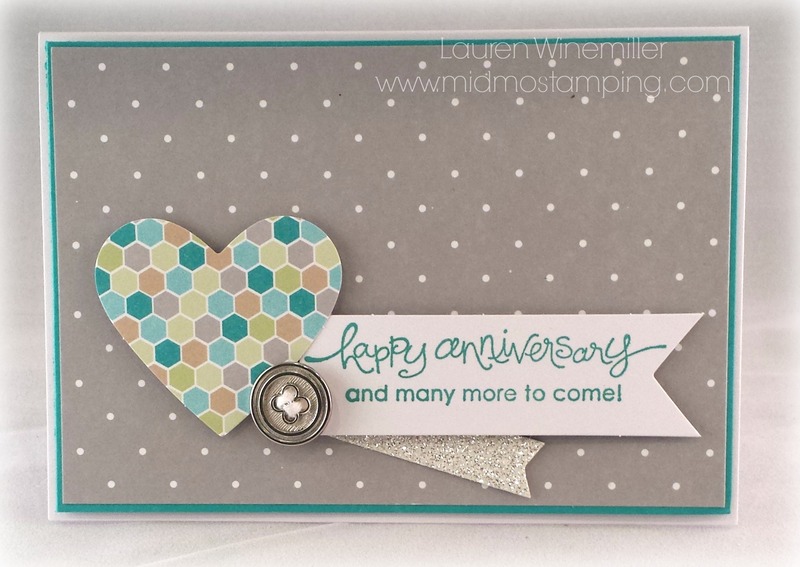 You can still add elements to make them your own! 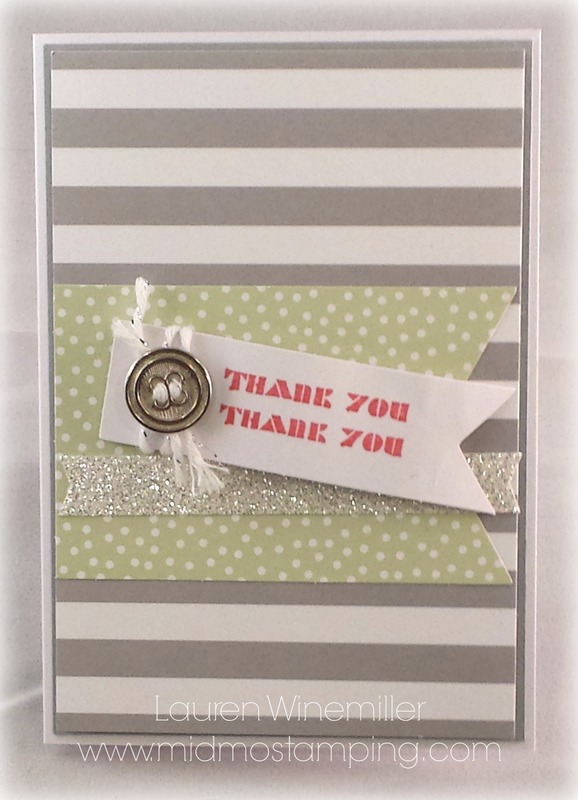 And that’s exactly what I did with the NEW Happenings Simply Created Card Kit (in the spring catalog). 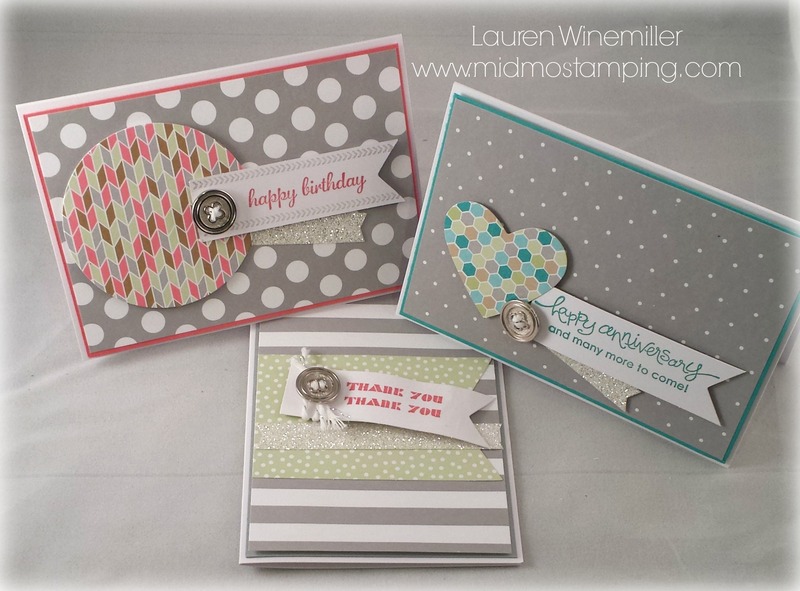 Everything is pre-cut and ready to assemble. 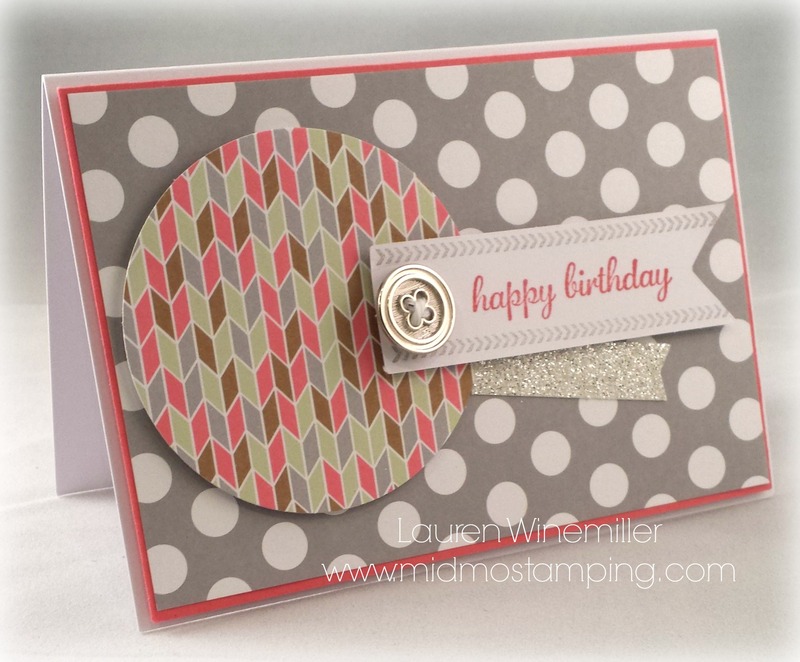 I simply added a layer of card stock behind the gray stripes and polka-dot paper. 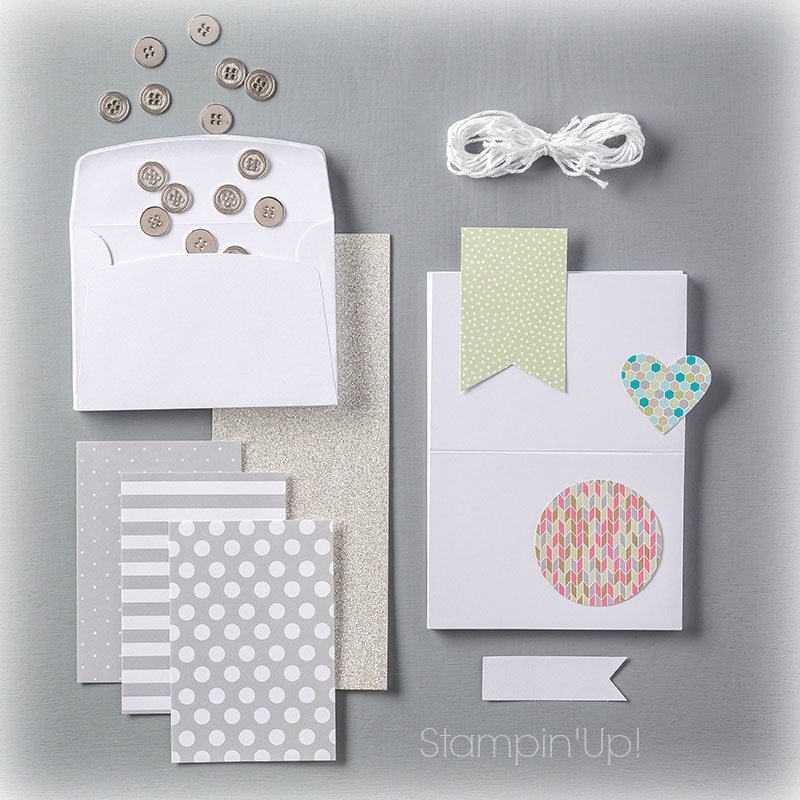 Etc:All other supplies were included in the Happenings Simply Created Card Kit!!! Hey lady When u send an email about club could u ask everyone if they have anything baja breeze they wanna sell to bring it to club, I would be interested? Thanks mama!